Do you want to get Text SMS alert when any Form submitted on your Joomla website? You can get this done with the help of Twilio app for Zapier. You can connect your Joomla Form with Zapier and connect Zapier with Twilio. In this tutorial, we will learn how to connect Zapier with Joomla form and Twilio. Let me tell you that SMS alerts on form submission are not possible with the standard Joomla contact forms. 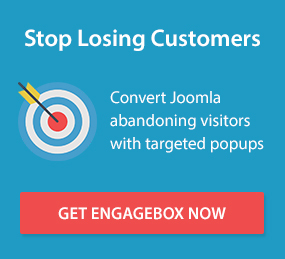 So you have to install the Convert Forms Joomla extension. Convert Forms is a leading Joomla Contact form extension which is also available with the free version. But this feature is not possible with Free version, so I will suggest you get Convert Forms at €19. If you have already the pro version you can continue to install the extension. Install it and follow the below given steps. Once installed successfully, the next step is to create a Joomla Form with Convert Forms. Here is a step by step guide on how to create a form with Convert Forms. To send direct Text SMS on form submission, you need to connect your Joomla Form with an SMS app like Twilio. But before that, you need to integrate Zapier with your Convert Forms so the process can be smooth. To integrate Zapier with Convert Forms you will need to create an API secret key so Zapier can authenticate with your Joomla Form. .Now, you have to set up the action when Zapier will receive a lead in your Convert Forms App. If you are from the UK or US, you can simply use the SMS app from the action apps and if you are from the outside from UK or US, you can use Twilio App. So here I am going to use Twilio App. Choose Send SMS and click on Save + Continue button. If you don't have a Twilio account, please create a free account. You will need to connect Twilio Account with Zapier by entering its Account SID and Auth Token. Copy all the required details (Account SID & Auth Token) and paste them in Zapier. At last click on Yes, Continue button. The popup will be closed. After allowing access, select Save + Continue. go back to Twilio Console and click the # tab in the left panel. > Active Numbers > Get Started. Now, click on Get your first Twilio phone number. As soon you click on the button, a popup with your number will be displayed on your screen. Here you can search for another number or choose the number by clicking on Choose This Number button. Now, again back to your Zapier account and start setting up Twilio SMS for form submission. From Number - In this field, simply add the number you have got from Twilio. You can choose this number from the drop down as well. To Number - In this field, you have to add the number on which you want to receive the alert. Message - Here you can specify the form fields i.e. Name, email, message etc. In short, you can create a template for the message. And after submitting all the required information, click on Continue. You are almost done with the integration and setting up SMS alert for Joomla Form. But I will suggest you test the configuration before leaving the page. When you have clicked on Continue button in the previous step, you will be redirected to Test Twilio screen. You can simply click on the Send Test to Twilio button. Oh, I got an error. Thank god, I have tested it. I forgot to add the country code in To number. So keep in mind to always add country code while entering the number. I have tested again after adding the country code and test was successful. Now, you are done with testing and configuring the Zapier with Convert Forms and Twilio with Zapier. Now, in the last step, you have to turn on your Zap. Once it is turned on, you will be notified by an SMS when you will have an entry on your Joomla form. This is how you can get an SMS alert message from your Joomla from when someone submits the form.